A whole dean conceding 4 goals? Was he a night school dean? The Bundesliga is better than the EPL. ^Absolutely. A better field for a horse to gallop. Klopp stride is broken week in, week out in this thoroughbred's Grand National. No dressage just towering Beeches Brook and stallions foaming at the mouth in thick pursuit. Big Stephen Naismith, well-in on Lucas, red card? Nonsense, nothing wrong with that, get up and get on with it. So much for heavy metal football, more like Wheatus and a weekly Teenage Dirt bag. The following table lists all the countries whose clubs have won at least one UEFA competition. Spanish clubs are the most successful overall, with a total of 52 titles, and hold a record number of wins in the European Cup/UEFA Champions League (15) and in the UEFA Super Cup (12). Italian clubs have the most victories in the UEFA Cup/UEFA Europa League (9, a record shared with Spanish teams) and Intercontinental Cup (7). In third place overall, English clubs have secured 39 titles, including a record eight in the Cup Winners' Cup. French clubs, ranked sixth in UEFA competition titles, have won the Intertoto Cup the most times (12). Italian clubs are the only in European football history to have won the three main UEFA competitions in the same season (1989–90). Carling semi's, regulation time, another clobbering for Klopp. Rope-a-doping for much of the bout. Taken the distance once again. Looking for favours in the shootout. Time for Mignolet to stand up and be counted. Racking up the losses like a drunk Michael Sprott. dortmund (2-0) Ingolstadt <-- who are you!! Absolute garbage. Roughed up and rough housed. Nonsense. Standard procedure. 3 games in 10 days, cue the sicknote. Get well soon Jurgen. I bet Kloop never believed the EPL could be this intense. Points are never won until the final whistle is blown. Imagine, leading comfortably 2 goals up at home only to find yourself tied and praying not to concede again by the end of the match. 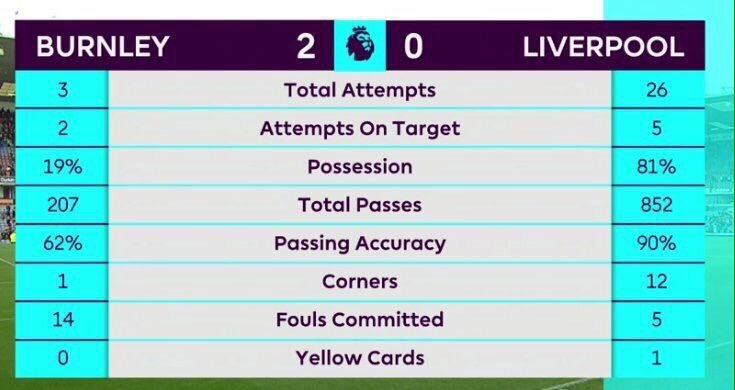 Please tell me which league this happens in so I can report them to FIFA. Eddie Howe born and bred...no surprises. will he finish 3rd in a 2 horse race? Wikid! You just said what I said to someone during the game - "Liverpool will not finish in the top two"
Are you a winner???! I am a winner, in there lord Jesus!